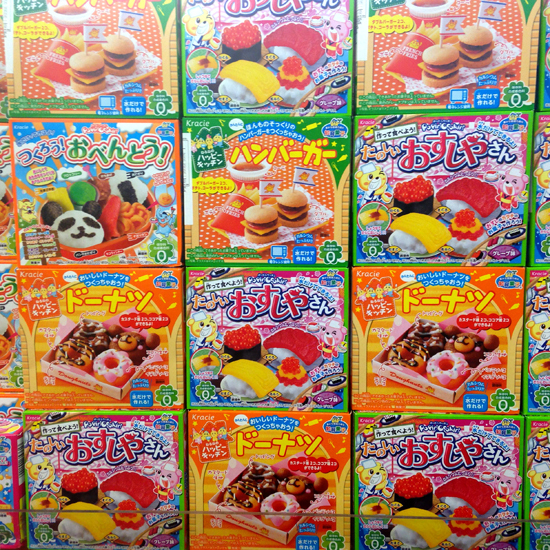 Popin’ Cookin is a Japanese do-it-yourself candy kit line that has taken the world by storm! These fun kits come in a variety of styles and flavors, and allow users to create edible miniature sushi, hamburgers, donuts, cakes, ice cream, gummy treats, and much more. These kits come with the mix as well as the molds, giving users everything they need to make their own sugary treats. These popular do-it-yourself cooking kits are available now at both TOMODACHI Rosedale and TOMODACHI Mall of America, and we are happy to announce a new special for all our Popin’ Cookin fans. Customer who buy two Popin’ Cookin kits will receive a third kit of equal or lesser value for 50% off! This new special is only available while supplies last, so make sure to check out our selection of Popin’ Cookin kits while you can!